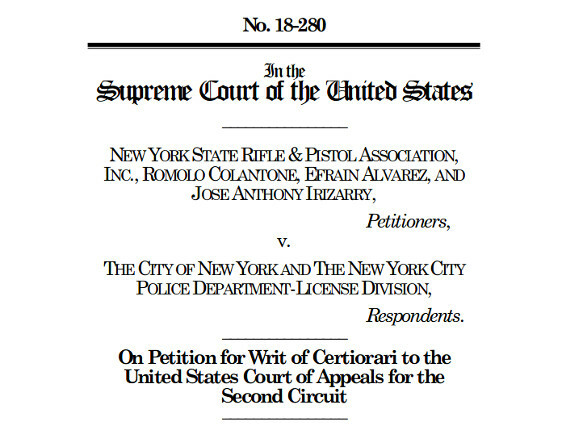 GUN WATCH: When Will the Supreme Court Hear New York Rifle & Pistol Association v.
When Will the Supreme Court Hear New York Rifle & Pistol Association v.
In the first firearms related Second Amendment case to be heard in a decade, the Supreme Court granted a writ of Certiorari (decided to hear) the case of New York Rifle & Pistol Association v. The City of New York. The case will have major ramifications for Second Amendment jurisprudence. Issue(s): Whether New York City’s ban on transporting a licensed, locked and unloaded handgun to a home or shooting range outside city limits is consistent with the Second Amendment, the commerce clause and the constitutional right to travel. When will it be heard (oral arguments) and when will it be decided? The case will be heard and decided in the court’s next term, which starts in October and ends in June 2020. Thankfully, the Supreme Court will hear New York State Rifle & Pistol Association Inc. v. City of New York, either this spring or next fall. The case, New York State Rifle and Pistol Association v. City of New York, will likely be heard in the fall. The Supreme Court Oral Argument calendar does not have it scheduled yet. Since this term started in October of 2018, the Court has heard 40 cases and settled two without oral arguments. There are eight cases scheduled for oral arguments in February, and nine cases scheduled for oral arguments in March of 2019. There are 14 cases that have been granted cert (writ of certiorari) but have not been scheduled. April does not have any oral arguments scheduled yet. The Court has not heard oral arguments in May for the last few years. The Court generally hears 1-3 cases a day. They have six days in April to hear oral arguments. There is a chance they will hear oral arguments from the NYSR&PA v. City of New York in April. A 50/50 chance is a reasonable guess. If they do not hear oral arguments in April, the next available date will be in October of 2019. There is generally a 4-9 month gap from granting cert to the oral arguments. It is not uncommon for cases to be granted cert in January or February and for oral arguments to be heard in October or November. Those who are hoping for a decision that minimizes Second Amendment rights are likely hoping for the oral arguments to be heard in April, and the case to be decided by July. The reason is simple: Justice Ruth Bader Ginsburg. Justice Ginsburg is 85 years old and in failing health. She is more likely to be able to vote on a decision if it is held sooner rather than later. If the case is not heard until October, President Trump may have already successfully nominated another justice to the Supreme Court. Six months is a long time when you are 85 years old and in poor health. Justice Stephen Breyer is 80 years old, and is the next oldest justice on the Supreme Court. He consistently votes with the Court's left wing and Ruth Bader Ginsburg. I doubt that the Supreme Court will take Justice Ruth Bader Ginsburg's health, or Justice Breyer's age, into account when they are scheduling the oral arguments for the coming cases. In a few weeks the April schedule should be posted online. Then we will know if NYR&PA v. The City of New York will be heard in April or late in 2019. If the case is heard in April, we would probably have a decision by late July of 2019. If it is hear in October or November, we may not get a decision until the summer of 2020. ©2019 by Dean Weingarten: Permission to share is granted when this notice is included. The Supreme Court has been politically corrupted for 216 years, since the Marbury v Madison case of 1803. There is no constitutional authority for the Supreme Court or any other court to interpret law. Their oath of office requires them to up hold and enforce the constitution, not one word in the constitution permits any court to interpret law. their job is to make rulings as to whether the issue is constitutional or not constitutional by only the words actually written, they have no power to define words, add words or substitute words. only the words written can be enforced. 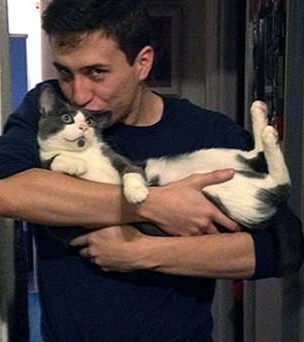 It is about damn time this was enforced. As long as SHALL NOT BE INFRINGED is written in the second amendment that is an absolute legal command that makes any arms related law unconstitutional, Federal and state. By the 10th amendment no STATE has the authority to amend the second amendment. The second amendment is a federally guaranteed right and is the supreme law of this land. The U.S. congress has no authority to amend the second amendment6 by passing an act. Furthermore the federal government can not take any thing away from you that you bought legally (Bump Stocks) A new law can not affect any thing that took place prior to the date of the new law. They can stop the sale of future Bump Stocks, but constitutionally they cant do a damn thing about the ones already owned, purchased legally before the new law takes affect. Congress Shall Not pass any ex post facto law. Fact is ATF has no constitutional authority to exist. Congress must write regulations, no one in AFT is elected. When will they get around to licensing our cleaning kits? Progressives have been destroying our constitution bit by bit for generations. You people that put up with this bit by bit destruction will rue the day you refused to stand up and be counted. I consider the NRA as useless twits. Fact any law repugnant to the constitution is void on its face. The First Ten Amendments (The Bill of Rights)were ratified on December 15, 1791. Now some great brain tell me when any of the Amendments in the bill of rights has been amended by a ratified change. So If the second amendment has never been changed, then no congress or any state legislature has the authority to pass laws that infringe on it. The tenth amendment is called the separation of powers amendment. Powers not delegated to the states? When did any one delegate the authority to the states to amend the second amendment? The second amendment can only be amended by the people. Congress can not amend the second amendment by passing an act. So the right of the people to keep and bear arms has never been legally changed. If it is not written then the authority does not exist. there is no written authority to define the word arms. Therefore anything you use to defend your self with is a defensive weapon (arm) and any thing you are attacked or assaulted with is an assault weapon. Which of the ten amendments has the written authority to require a license or a permit? None of them you morons. the first ten amendments are federally guaranteed rights and there is no written authority for any state or territory to amend those rights. They are not privileges they are guaranteed rights. Laws repugnant to the constitution are void. As long as Shall Not Be Infringed exists as written, there are no valid arms laws. all that exist are repugnant to the constitution because there is no authority for them to exist.